Proprietary Name: Im Tone Up Multi Base What is the Proprietary Name? Non-Proprietary Name: Octyl Methoxycinnamate, Homosalate, Octyl Salicylate, Titanium Dioxide What is the Non-Proprietary Name? Im Tone Up Multi Base with NDC 72284-0001 is a a human over the counter drug product labeled by Normalest Co., Ltd.. 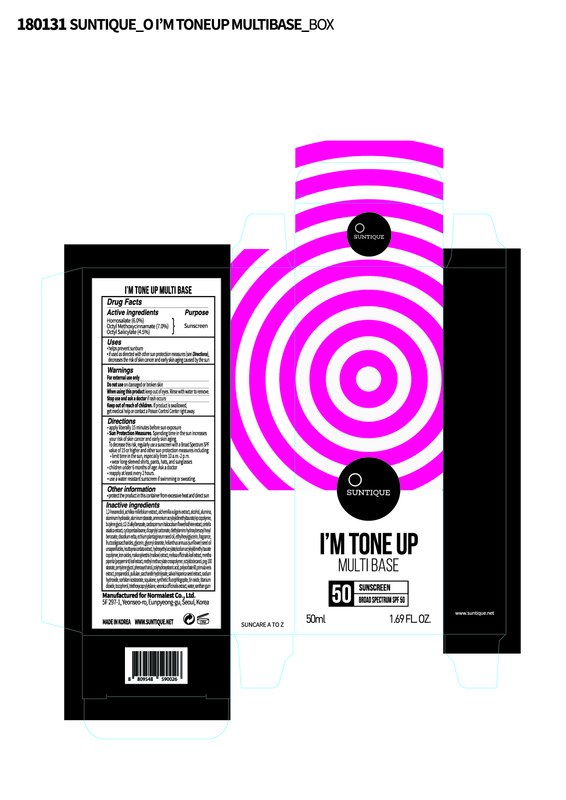 The generic name of Im Tone Up Multi Base is octyl methoxycinnamate, homosalate, octyl salicylate, titanium dioxide. The product's dosage form is lotion and is administered via topical form.